Retire successfully on what you already have! Living off savings is much different than living from paycheck to paycheck. It requires a different kind of budget and a different financial plan. Don’t be caught off guard when you make the switch, because financial errors at this time can be costly. Finances After 55 is not a “retire rich” investment book. 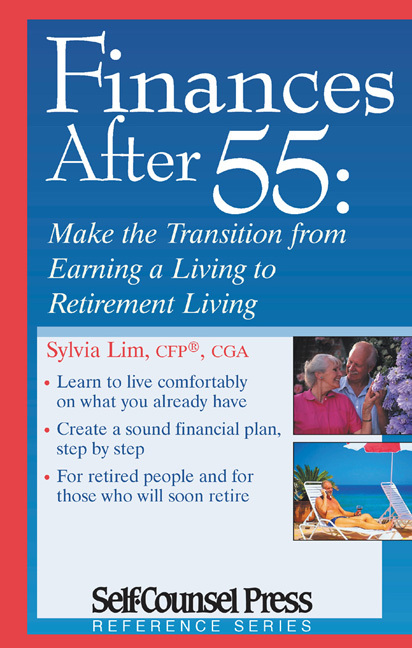 It’s a practical guide that shows you how to take what you have already saved and manage your money and assets to live a full and successful retired life. When you retire (if you haven’t already), you will need a financial plan that takes into account your changing needs. And you’ll need a lot more than just a budget.